Nineteen years ago, I saw M. Night Shyamalan’s Unbreakable and fell in love. To this day, it’s one of my favourite movies of all time. So, when I saw Split four months before release, the shocking revelation that it took place in the same universe was one of my most memorable theatrical experiences. I say these things to give context to how painful these next sentences are. I’m as big a fan of the Unbreakable series as anyone I know, and Glass is a major disappointment. Like its predecessors, and in contrast to most of the superhero films from the last decade, Glass takes an ultra-realistic, grounded look at the idea of superheroes. Could comic books just be exaggerated versions of real people and stories? 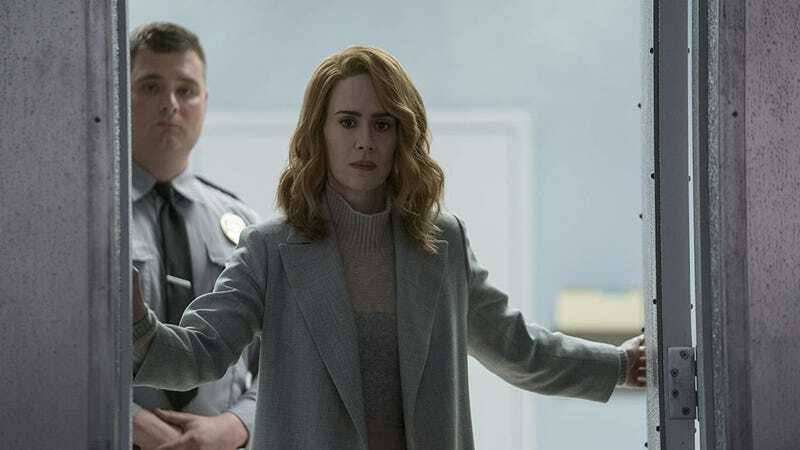 The first two films suggest the answer is “yes,” but Glass tries to subvert that, introducing Dr. Ellie Staple (Sarah Paulson), a psychiatrist dead set on proving these abilities are all in the heads of David Dunn (Bruce Willis), Kevin Wendell Crumb (James McAvoy), and Elijah Price (Samuel L. Jackson), respectively known as the Overseer, the Horde, and Mr. Glass. Because Glass fuses all those worlds and characters together, its first hurdle is telling a story that connects everything in a satisfying, logical way. To that end, the film succeeds. Shyamalan, who wrote and directed the film, created a scenario that brings everything together in a succinct, entertaining fashion. In fact, the film’s first act is absolutely excellent. There’s a huge action scene, some suspense, character development, great connections back to Unbreakable, and more. It really works, setting the bar high as the film moves into its next phase. Things change with the introduction of Dr. Staple though. The film slows down. It gets tempered and restrained, and that airtight, propulsive story from the start is lost. The interactions between the doctor and her three supposed superheroes dominates the rest of the movie. Now, if Glass was concerned with how this scenario impacted its characters, that would be fine. That was what made Unbreakable and Split so successful, that the characters drove those stories. Here, though, the opposite is true. Everything is tailored so the disparate narrative strands connect instead of the emotional ones. Both of those things come, but they take a while to arrive. Which, again, would have been fine if Glass took its slow, introspective centre and planted the seeds for a deeper thematic reward. Unfortunately, it’s never exactly clear what Glass is trying to say or be, even when something is being stated in a direct address to the camera or through voiceover. As the film explores various things like the rivalries between the heroes, who’s aware of their existence, the workings of the hospital, intersections with specific comic books, and more, lots of little thematic strands emerge, but none are an obvious focus. Everything is just kind of mixed together. Part of that is because the film is so concerned with keeping the audience guessing. Now, of course, as you probably expect from a Shyamalan movie, most things in Glass pay off in ways you won’t expect. But even on a smaller scale, several points in the movie make you think, “Wait, what about this piece of information?” only to have it answered a few scenes later. This is certainly admirable, but the narrative cohesion takes the focus away from the bigger picture. Things like, who are we meant to cheer for, the “heroes” or the “villains”? What is this movie saying about the world we live in or the nature of superheroes? Everything just sort of unfolds without consequence or weight. Occasionally, one of these scenes will work well, especially in the film’s second and final large set piece, but very little hits home, even when the final credits roll. Some of that malaise can be derived from the score by West Dylan Thordson. He’s back after doing the music for Split and again has written a solid score, setting a very specific, tense mood. However, the score only briefly and subtly uses the themes James Newton Howard created for Unbreakable, the robust, invigorating, superheroic melodies that were also used at the end of Split. Because of that, the music becomes almost a metaphor for the movie itself. It’s almost as if it’s purposefully keeping itself restrained, even when the action on screen isn’t. Glass could have used a heavy dose of those big, bold, emotions to give everything some scale and excitement. Instead, it keeps the shackles on any overt emotion, be it on-screen with the characters, or off-screen in the audience. The acting in Glass also has a huge effect on the film’s uneven tone, pacing, and thematics. As previously mentioned, McAvoy is pretty incredible as Kevin, the man with dozens of personalities living in his body. He effortlessly changes between them in a true powerhouse performance. Bruce Willis, however, is on the opposite side of the spectrum. His character, David Dunn, was well established as stoic in Unbreakable but in Glass, it’s on another level. Even in the character’s biggest moments, it’s hard to tell what he’s thinking or what his motivations are. As a result, there’s little connection to the one true protagonist. 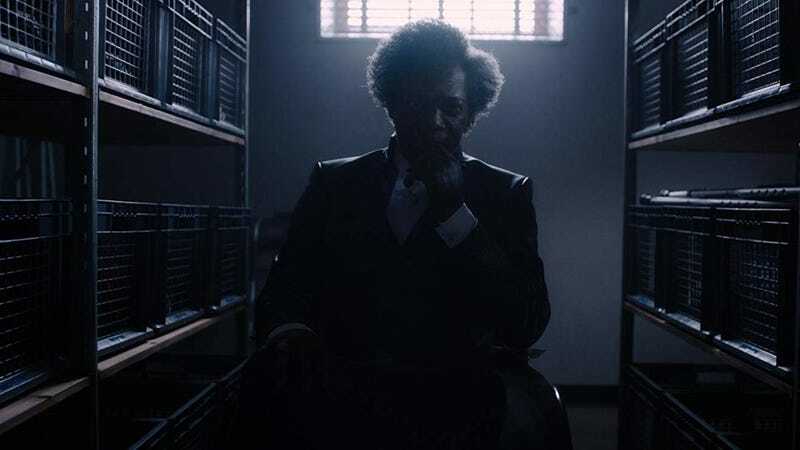 Then there’s Samuel L. Jackson, who is devilishly fun as Mr. Glass but is ultimately only given a few moments to truly shine. In a movie called Glass, you wish there was more of him. Casey (Anya Taylor-Joy) has a complex relationship with Kevin (James McAvoy). Glass’s supporting characters are a great illustration of the film’s problems too. The film brings back Anya Taylor-Joy, Spencer Treat Clark, and Charlayne Woodard from Split and Unbreakable, each giving the main characters someone “normal” to connect with. And while these characters end up becoming essential parts of the plot, for most of the movie, they’re little more than pawns, there to reiterate plot points but otherwise generally feel non-essential. (That say, the way Shyamalan brings Treat Clark’s character back into the story deserves a shout out because it’s excellent, even if it never reaches its true potential). Basically, you half understand why they’re there, half feel confused by it, and only by the end have a general idea about why they are in the movie at all. Ultimately, that’s Glass. It feels like a movie from a filmmaker who has some amazing puzzle pieces—and yet, even after almost 20 years, no clear vision of how to put them together. There are moments of greatness which are overshadowed by a vast majority of confusing and muddled scenes and intentions. The heart and thrills of Glass’ predecessors are noticeably lacking, and while there are some great surprises, it’s not easy to grasp what they mean in a larger context. The film is a disappointment, but, as a fan, it’s a disappointment I’ll be revisiting again to be sure. It’s a world that remains worth exploring with some interesting twists on what these films have been about for almost two decades. I just wish Glass gave them a more satisfying, complete platform to stand on.